The flight crew contacted Alaska dispatch and maintenance control facilities in Seattle to discuss a jammed horizontal stabilizer and a possible diversion to Los Angeles. The jammed stabilizer prevented operation of the trim system, which would normally make slight adjustments to the flight control surfaces to keep the plane stable in flight. At their cruising altitude and speed, the position of the jammed stabilizer required the pilots to pull on their controls with about 10 pounds of force to keep it level. The flight crew successfully unjammed the horizontal stabilizer with the primary trim system, however upon being freed, it quickly moved to an extreme 'nose-down' position, forcing the jet into an almost vertical nose dive. The plane dropped from 31,000 feet to 23,000 feet in about 80 seconds. Both pilots struggled to regain control of the jet, and only by pulling with 130 pounds-force on the controls did they stop the 6,000 feet-per-minute descent and stabilize the MD-83 at 24,000 feet. At one point, unable to raise the nose, they attempted to fly the aircraft upside-down, but the aircraft was far beyond recovery; it descended inverted and nose-down about 18,000 feet in 81 seconds and impacted the Pacific Ocean. The cockpit voice recorded sounds of at least 4 'thumps' followed by an extremely loud noise as the overstrained jackscrew failed completely and separated from the acme nut holding it in place. Another aircraft in the vicinity reported that the jet was in a nose down position and descending rapidly. The McDonnell Douglas MD-80 series is a stretched version of the Douglas DC-9, and is designed for medium range flights. The MD-83 has the longest range in the twin-engine MD-80 series, able to travel as far as 2,800 miles between stops. The NTSB determined that inadequate maintenance led to excessive wear and eventual failure of a critical flight control system during flight. The probable cause of this accident was a loss of airplane pitch control resulting from the in-flight failure of the horizontal stabilizer trim system jackscrew assembly's acme nut threads. The thread failure was caused by excessive wear resulting from Alaska Airlines; insufficient lubrication of the jackscrew assembly. The NTSB found widespread significant deficiencies that the FAA should have uncovered earlier. FAA surveillance of Alaska Airlines had been deficient for several years. March 5, 2000 - Southwest Airlines Flight 1455, a Boeing B-737-300, from Las Vegas to Burbank, overran the runway in Burbank, California. 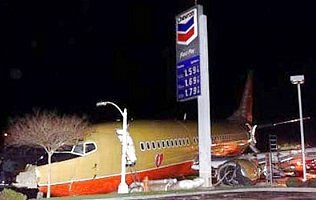 The jet came to rest on a city street adjacent to a gas station. Of the 142 people on board, 43 are injured, two seriously. The jet touched down on the wet runway at 44 knots faster than the target airspeed. Furthermore, it touched down 2,150 feet from the runway threshold, 650 feet beyond the 1000-1500 feet range established by Southwest Airlines Flight Operations Manual. The captain deployed the thrust reversers and then both pilots applied manual brakes. The NTSB said, under those conditions even maximum braking would not have prevented the aircraft from overrunning the end of the runway. The NTSB reported the cause of the incident was due to the pilots attempting to land with excessive speed, and flight path angle. They also blamed the air traffic controller for placing them in a position from which their only options was to go around. The NTSB also concluded that if the flight crew had applied maximum manual brakes immediately upon touchdown, the jet would likely have stopped before impacting the blast fence. 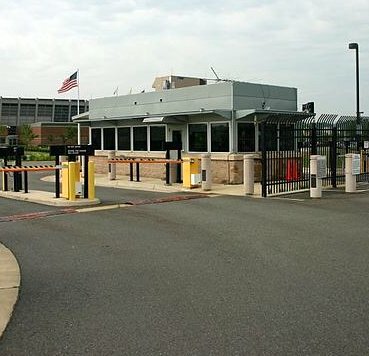 March 6, 2000 - FAA broke ground for a new regional air traffic control center in Vint Hill, Fauquier County, Virginia that would replace the radar monitoring facilities at Baltimore-Washington International, Dulles International, Reagan Washington National, and Andrews Air Force Base. This new TRACON (Terminal Radar Approach Control Facility) would guide aircraft within a 75-mile radius of Washington D.C.
April 1, 2000 - FAA ordered immediate inspections of 14 Boeing B-717-200 airlines to check for potential electrical problems in their integrated standby instrument system altitude displays. Reports of 2 instances of intermittent loss of altitude data on the captain and first officer's primary flight display and the altitude display. July 25, 2000 - Air France Flight 4590 from Paris, France, to New York City, an Aerospatiale-BAC Concorde SST ran over some debris on the runway during takeoff, blowing a tire and puncturing a fuel tank, leading to fire and engine failure. All 100 passengers and 9 crew members died when it crashed into a hotel in nearby Gonesse, France. Additionally 4 people on the ground were killed and one was critically injured. 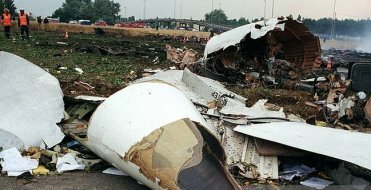 (113 Fatalitiies) This was the only fatal Concorde accident during its 27-year operational history. Five minutes before the Concorde departed, a Continental Airlines DC-10 took off from the same runway and lost a titanium strip (part of the engine cowl) that was about 17 inches long and 30 inches wide. During the Concord's take off run, it ran over this piece of debris, cutting a tire and sending a large chunk of tire debris into the underside of the aircraft's wing at an estimated speed of 310 mph. Although it did not directly puncture any of the fuel tanks, it sent out a pressure shockwave that ruptured the number 5 fuel tank at the weakest point, just above the undercarriage. Leaking fuel gushing out from the bottom of the wing was most likely ignited by an electric arc in the landing gear bay or through contact with hot parts of the engine. Engines 1 and 2 both surged and lost all power, but engine 1 slowly recovered over the next few seconds. A large flame developed; the flight engineer shut down engine 2 in response to a fire warning. With only 1.2 miles of runway remaining and traveling at a speed of 204 mph, their only option was to take off. A few days after the crash all Concordes were grounded. Commercial service was resumed in November 2001 after a safety improvement service, until the remaining aircraft were retired in 2003. British Airways ended its Concorde flights in October 2003. July 27, 2000 - A hijacker, armed with a gun, tried to take hostages at JFK of a National Airlines Boeing B-757 headed to Las Vegas, Nevada. He demanded to be taken to Miami, Antarctica, or Argentina. Negotiators from the FBI persuaded him to release the pilot and copilot. Passengers and crew had escaped when the hijacker was in the cockpit. 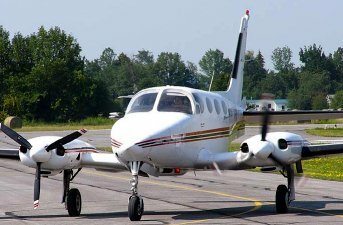 The NTSB determined that the probable cause of this accident was the pilot's failure to control the airplane while maneuvering because of spatial disorientation. Contributing to the accident were the failure of the airplanes' primary attitude indicator and the adverse weather conditions, including turbulence. January 20, 2001 - George Walker Bush inaugurated as the 43rd President of the United States. He served as the 46th Governor of Texas from 1995 to 2000. He is the eldest son of Barbara and George H. W. Bush. After graduating from Yale University in 1968 and Harvard Business School in 1975 he worked in the oil business. In 1977 he ran unsuccessfully for the House of Representatives. He also co-owned the Texas Rangers baseball team. When he defeated Al Gore, he became the 4th President to be elected while receiving fewer popular votes nationwide than his opponent. January 25, 2001 - Former Member of Congress Norman Yoshio Mineta (D-CA) took the oath of office as the nation's 14th Secretary of Transportation. The lone Democrat in George W. Bush's cabinet, Mineta had been Secretary of Commerce in the outgoing Clinton Administration. Norman Mineta was the United States Secretary of Transportation for more than 5 years, making him the longest-serving Transportation Secretary in the Department's history. In 2006 he joined Hill & Knowlton, a public relations firm as a partner. In 2010, he joined L & L Energy, Inc as Vice Chairman. He was born in San Jose, California, to Japanese immigrant parents, and during WWII, the Mineta family was interned for several years at an internment camp near Cody, Wyoming. Mineta graduated from the University of California, Berkeley's School of Business Administration. After graduation, he served with the U.S. Army as an intelligence officer in Japan and Korea. They were flying home after the team's loss against the Colorado Buffaloes. The NTSB focused on an electrical malfunction on the plane and have ruled out engine failure as the probable cause. May 3, 2001 - FAA began providing a new service that used wireless devices to inform the public of aviation delays. Travelers with access to pagers, cell phones, or personal digital assistants (PDA), could subscribe and obtain real-time airport status information via email. 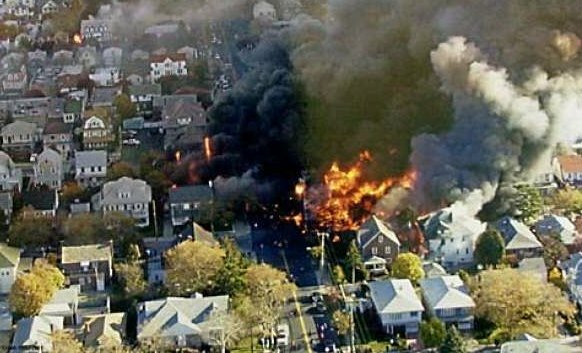 May 29, 2001 - FAA said it would begin using an alert warning system at the country's 34 busiest airports to help prevent runway accidents. 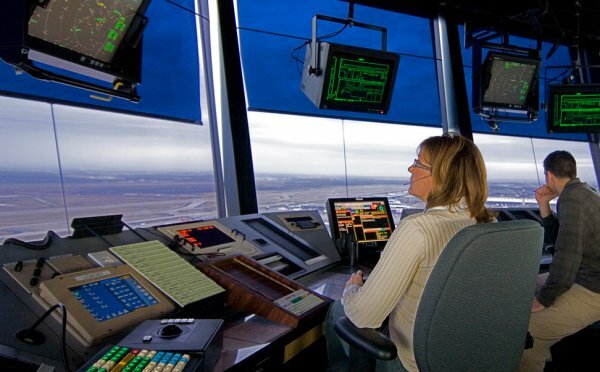 Already in use at San Francisco and Detroit, the Airport Movement Area Safety System (AMASS) provides air traffic controllers with visual and aural alerts of potential runway accidents caused by runway incursions. The AMASS determines conflicts based on the position, velocity, and acceleration of airborne arrival aircraft with ground-based aircraft and vehicles. 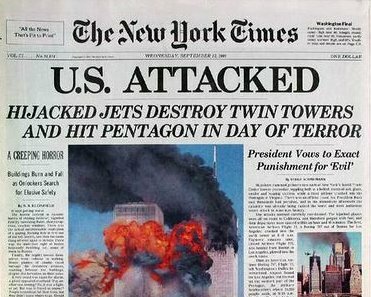 September 11, 2001 - The September 11 attacks were a series of 4 coordinated terrorist attacks by the Islamic terrorist group al-Qaeda on the United States The attacks killed over 3,000 people, including more than 400 police officers and firefighters, injured over 6,000 others, and caused at least $10 billion in property and infrastructure damage and $3 trillion in total costs. For the first time in history, FAA put a ground stop on all U.S. air traffic. 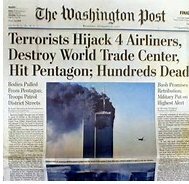 Two of the hijacked planes were flown into the towers of the World Trade Center in New York City, a 3rd plane hit the Pentagon and the 4th plane crashed in a field in Pennsylvania. American Airlines Flight 11, a Boeing B-767, with 92 people on board took off from Boston Logan Airport for Los Angeles. 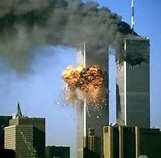 At 8:46 AM, loaded with 20,000 gallons of jet fuel, American Airlines Flight 11 crashed into the north tower of the World Trade Center.  The impact left a gaping, burning hole near the 80th floor of the 110-story skyscraper, instantly killing hundreds of people and trapping hundreds more in higher floors. Fifteen minutes into the flight the five al-Qaeda hijackers injured at least 3 people (possibly killing one) as the forcibly breached the cockpit, and overpowered the captain and first officer. One of the al-Qaeda members, a licensed commercial pilot, took over the controls. United Air Lines Flight 175, a Boeing B-767, with 65 people on board took off from Boston Logan Airport for Los Angeles. 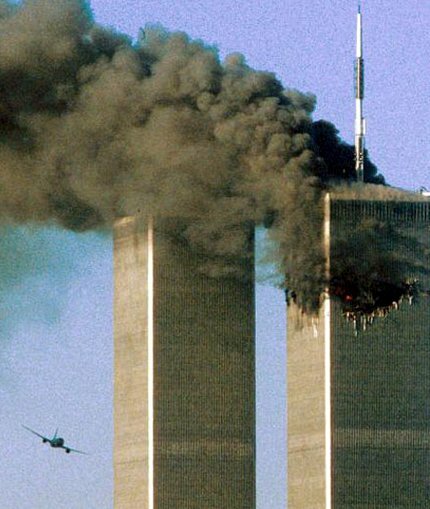 At 9:03 AM, United Flight 175 crashed into the south tower of the World Trade Center. Flight 175 was hijacked by 5 al-Qaeda terrorists, killing all 65 people aboard. Approximately 30 minutes into the flight, the hijackers forcibly entered the cockpit and overpowered the pilot and first officer, allowing the lead hijacker and trained pilot to take over the controls. This crash into the south tower was the only impact seen live on TV around the world as it happened. 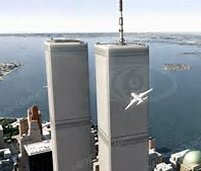 Flight 175 crashed nose-first into the south tower at a speed of approximately 590 mph and striking between floors 77 and 85 with approximately 10,000 gallons of jet fuel on board. American Airlines Flight 77, a Boeing B-757, with 64 people on board took off from Washington Dulles for Los Angeles. 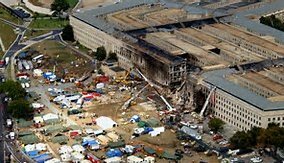 At 9:37 AM, American Flight 77 circled over downtown Washington D.C. and slammed into the west side of the Pentagon military headquarters. 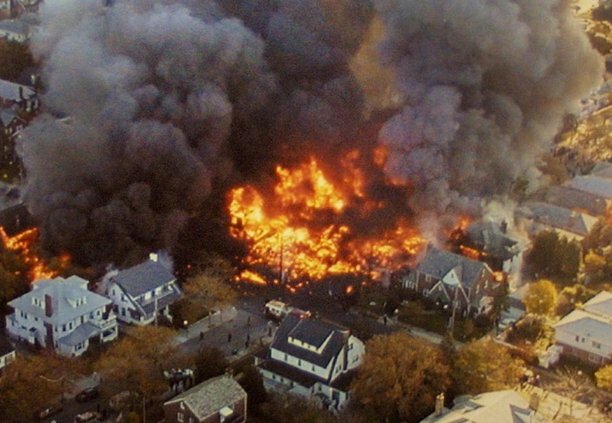 Jet fuel caused a devastating inferno that led to the structural collapse of a portion of the giant concrete building. 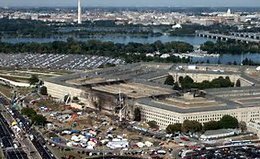 125 military personnel and civilians were killed in the Pentagon, along with all 64 people on the B-757. 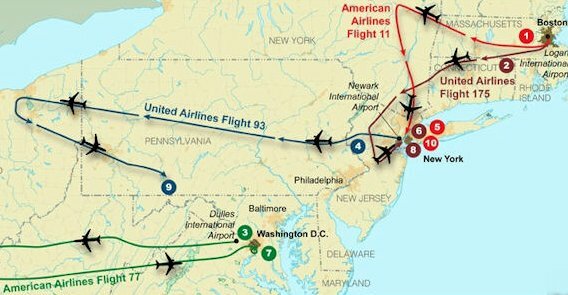 United Air Lines Flight 93, a Boeing B-757, with 44 people on board took off from Newark airport to San Francisco. 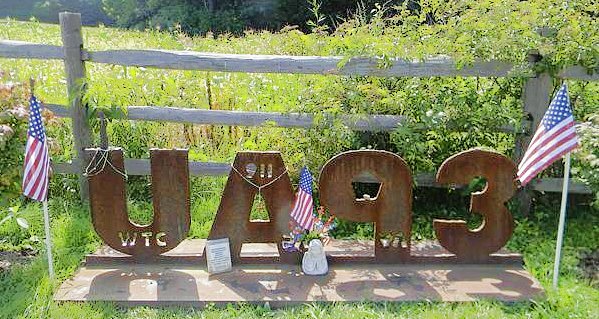 At 10:03 AM, United flight 93 crashes in Stony Creek Township, Pennsylvania. Because the plane had been delayed in taking off, passengers learned of events in New York and Washington via cell phone calls to the ground. A group of passengers and flight attendants fought the 4 hijackers with a fire extinguisher. The plane flipped over and sped toward the ground at upwards of 500 mph, crashing in a field in western Pennsylvania. All 45 people aboard were killed. Its intended target was not known, but theories include the White House, the U.S. Capitol, the Camp David presidential retreat in Maryland or one of several nuclear power plants along the eastern seaboard. The 19 attackers were Islamic terrorists from Saudi Arabia and several other Arab nations, and financed by Saudi fugitive Osama bin Laden's al-Qaeda terrorist organization. Some of the terrorists had lived in the United States for more than a year and had taken flying lessons at American commercial flight schools. 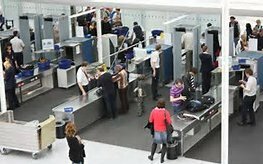 They had smuggled box-cutters and knives through security at three East Coast airports and boarded 4 flights bound for California. (These planes were loaded with fuel for the long trans-continental journey). At approximately 10:00 AM, the south tower of the World Trade Center collapsed in a massive cloud of dust and smoke. At:10:30 AM the other Trade Center tower collapsed. These structural steel skyscrapers were built to withstand winds in excess of 200 miles per hour and a large conventional fire, but could not withstand the tremendous heat generated by the burning jet fuel. 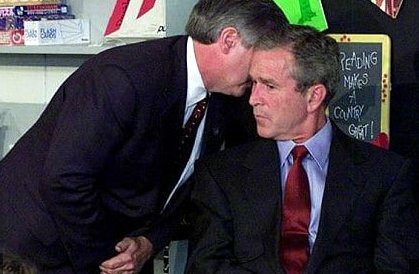 President Bush learned of these tragic events when he was at a school in Sarasota, Florida. He spent the day being shuttled around the country because of security concerns, and returned to the White House at 9 PM. He delivered a televised address from the Oval Office, declaring: "Terrorist attacks can shake the foundations of our biggest buildings, but they cannot touch the foundations of America. These acts shatter steel, but they cannot dent the steel of American resolve." The jet's vertical stabilizer and rudder separated in flight and were found in Jamaica Bay a mile north of the main wreckage site. The jet's engines also separated in flight and were several blocks north and east of the main wreckage. The NTSB determined that the accident was the result of the in-flight separation of the vertical stabilizer and subsequent loss of control. This separation of the vertical stabilizer was determined to have been caused by the first officer's unnecessary and excessive rudder pedal inputs in response to an encounter with wake turbulence from a preceding aircraft. 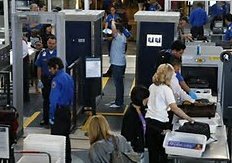 November 19, 2001 - President George W. Bush signed into law the Aviation and Transportation Security Act, which among other things, called for the establishment of the Transportation Security Administration (TSA) in the Department of Transportation, to be responsible for security at airports. 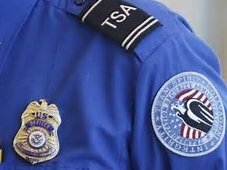 The TSA, now an agency of the U.S. Department of Homeland Security, has authority over the security of the traveling public in the the United States. 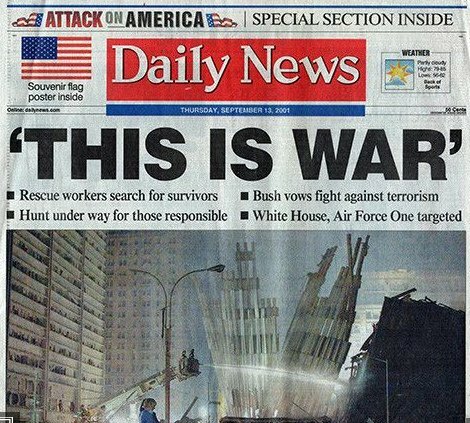 It was created as a response to the September 11, 2001 attacks.